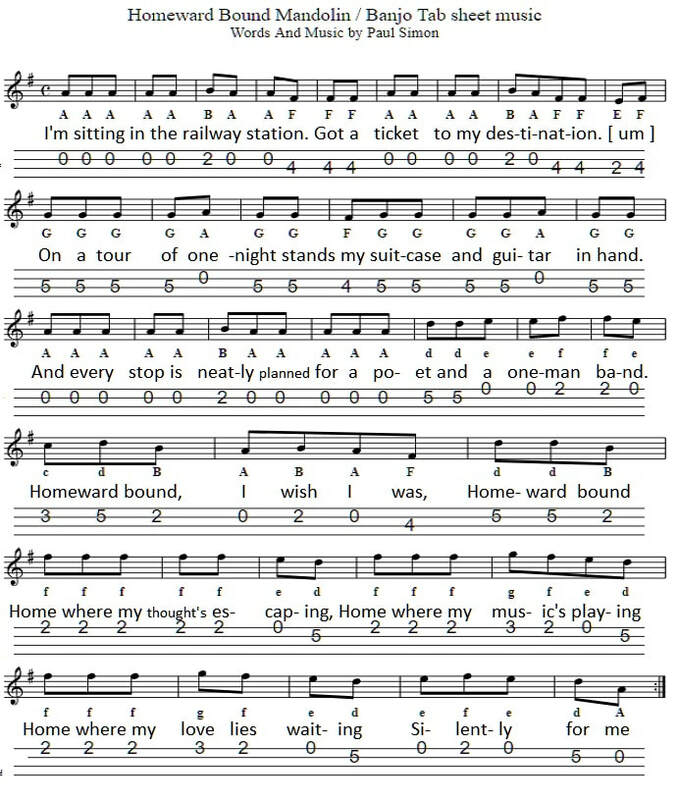 Homeward bound sheet music tab for mandolin and 4 string banjo. Written by Paul Simon and recorded by Simon And Garfunkel. Key of G Major.